Three little flowers will dance around her finger; each flower is set with alternating clear and pink Diamonlux™ Cubic Zirconias. Aside from just being darling, this ring can also be thought to hold significance and meaning. The "Three Little Posies" may hold representation of any three people: 3 Girls, 3 Friends, 3 Sisters, 3 Siblings and even Child/Mother/Grandmother; whatever holds dear to you. 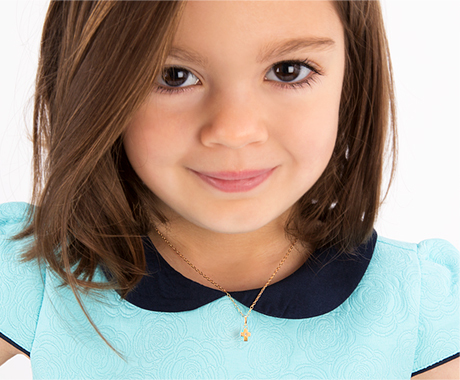 Made of genuine sterling silver and sparkling CZ's, this makes a perfect gift for any little girl!